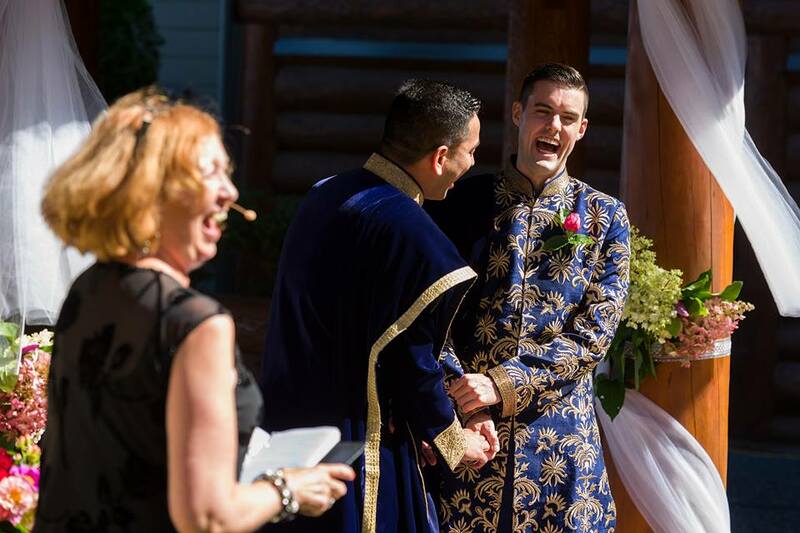 Getting married in BC is simpler than in many other places in the world. 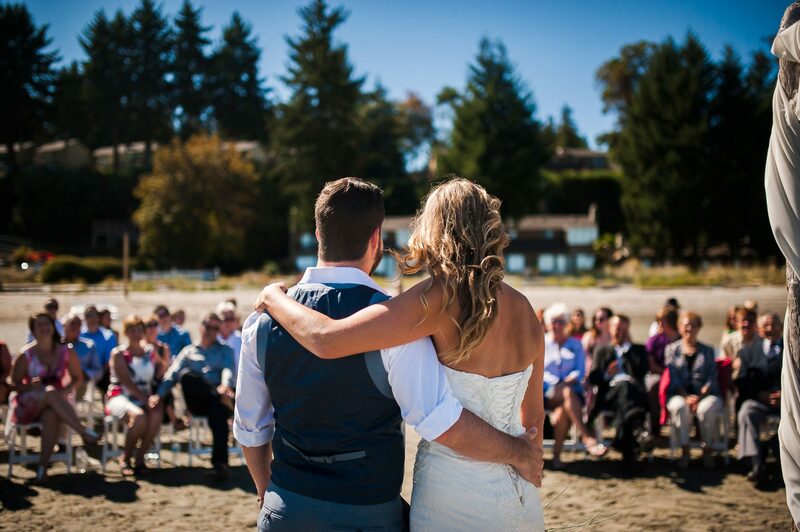 Getting a marriage license in BC is simple and easy. They are available at selected London Drugs customer service counters, Insurance offices, Service BC locations, or Notaries Public. To find one near you, click here. The official site has more in-depth information. How long does it take to get a marriage licence in BC? There’s no waiting period here like there is in some other parts of the world. You can get your licence the same day you are married (but you might want to be careful of that…not all licencing offices are open every day. We are eloping. Do we need witnesses? I can also (depending upon the location) provide a couple of enthusiastic seniors who will come and witness your ceremony (and give you a big hug, if you want). What if we are divorced? Do we need paperwork? Some parts of the world want to see your divorce papers in order to provide a licence. Here in BC, you will be asked if you are recently divorced, and licences will not be granted to people who have been legally divorced for less than a month. If you are planning a date now, avoid stress by finding out how long the processing wait is…don’t make any assumptions. How long do we need to wait to get the final certificate? I’ll send you a PDF of the completed licence, so you have it in a pinch. Vital Stats says expect to wait 3 weeks for the final certificate to arrive….which is pretty fast…:) A bit longer in the summer, and shorter in off/shoulder season. Please note: the process cannot be rushed/expedited if you have emigration issues. The official site has more information. We want Uncle Harry to marry us. How can he legally do that? Unlike in the USA, Uncle Harry can’t get a magic piece of paper that will transform him into either a JP or a Minister for a day. But here are a couple of options. I’ve used my nortmal process of co-creating with couples, ans then brought their “officiants” in for a virtual rehearsal. 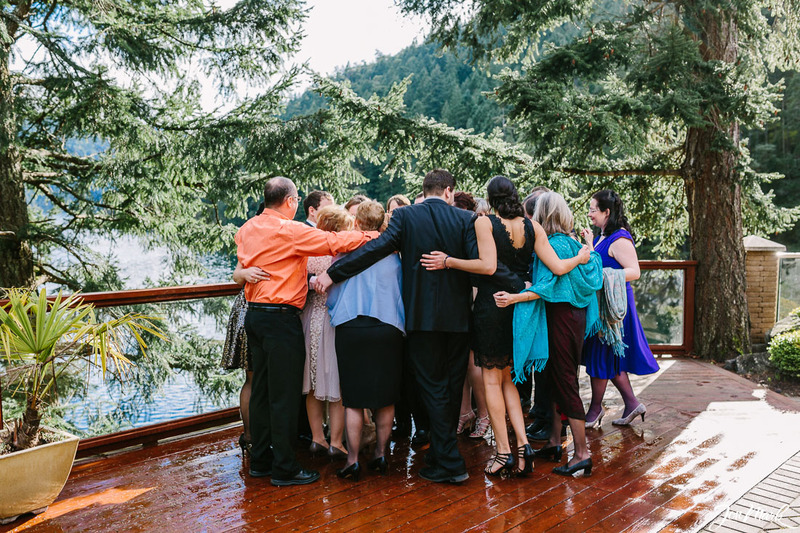 It often involves handholding too, because delivering a ceremony is very different than public speaking, and it can be uber stressful for folks with no experience. 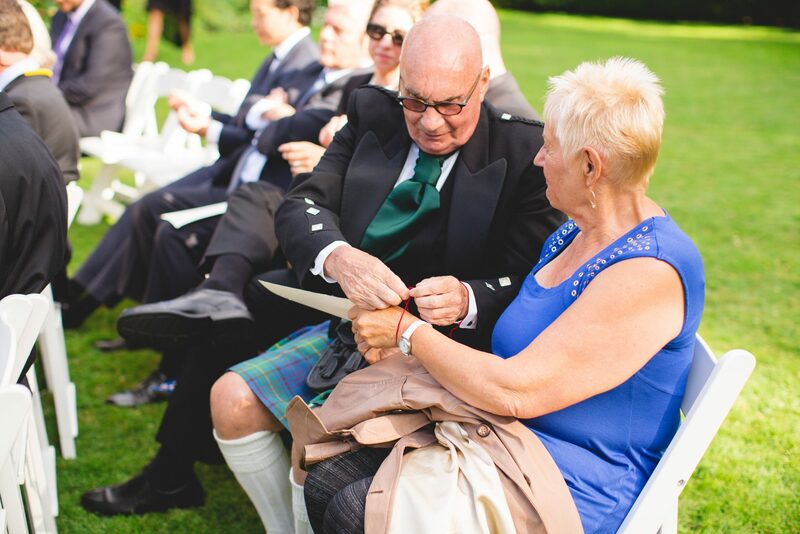 If your heart (or your wallet) is really set on a homemade ceremony, then perhaps a Marriage Commissioner can look after the legal part of the ceremony while Uncle does the ceremonial aspect. (ask first if s/he is open to it…summer Saturdays tend to be uber-busy and s/he simply may not be able to help you. There are also restrictions to what s/he can/can’t do…best to ask a Marriage Commissioner to explain. We want to get married without a ceremony. Planning to skip directly to the party? (giggle) Well, what marries you IS the ceremony…It’s the only thing you need to get married (along with the licence), someone who wants to marry you, and 2 witnesses. The quickest and easiest route to a legal marriage ceremony might be a Marriage Commissioner, because they are plentiful and in every community. Just google that term and your town/city and the local list should pop up. How far ahead should we be booking an officiant? 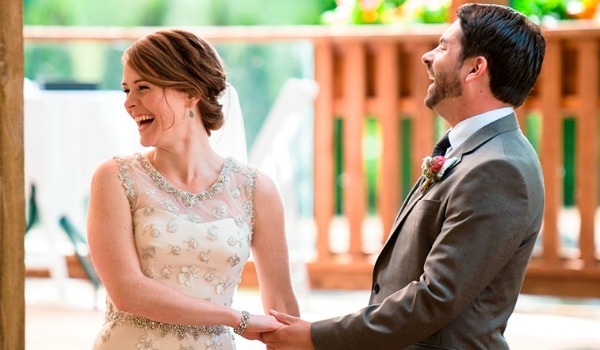 Can a Celebrant legally marry you? 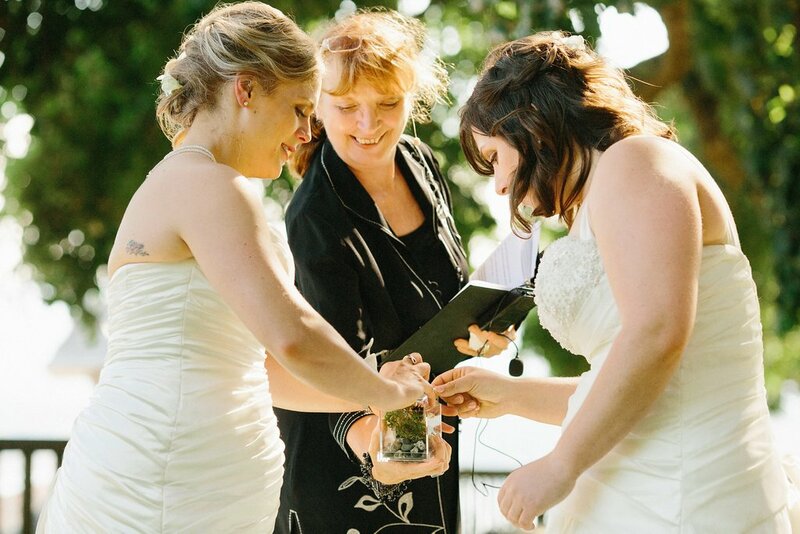 Just a note: Celebrants tend to charge more because of our specialized training and level of service. If someone says they are a celebrant, check to ensure that they have the credentials to justify the cost (like this). Ladies, you can choose to use either your own or your husband’s name after marriage. Fellas, you can take your wife’s name after marriage. Gay couples, you can legally take one name or t’other. There’s no legal paperwork required. However, you will need to provide a copy of your wedding documentation in order to change major identity items such as bank accounts, SIN and Driver’s Licence. Other service providers may simply require a phone call or allow a change to be made via their website. If you and your spouse are planning hyphenated names, alas – such simplicity is not to be had. You will have to undertake a legal name change process. Americans use license as both a noun and a verb. The rest of the world uses license (verb) and licence (noun). Kind of like practise (v) /practice (n). Then check out this post...with more specific info.